Contains 8X and 12X Suplhur concentrations, no pesticides, no side effects! Loyal Satisfied customers Worldwide, Overnight Shipping Available! Without treatment, scabies may last weeks or even months! 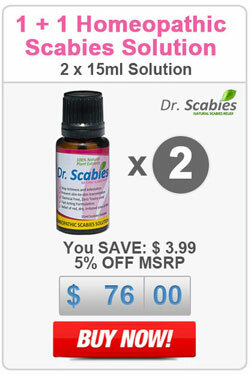 Dr. Scabies® treatment is the most recommended FDA-registered natural homeopathic remedy (OTC - over the counter) that has gone through series of laboratory testing to fight against scabies infections. 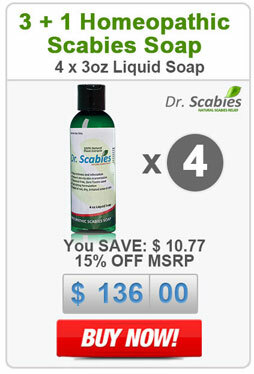 All Dr. Scabies® drug preparation forms (cream, liquid soap and liquid concentrate) are manufactured in a GMP-compliant facility that ensures effective home natural scabies remedies. 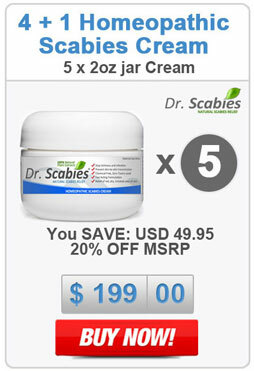 Dr. Scabies® believes that in order for a solution to have a lasting impact on treating the infestation, results from conventional methods must be surpassed. 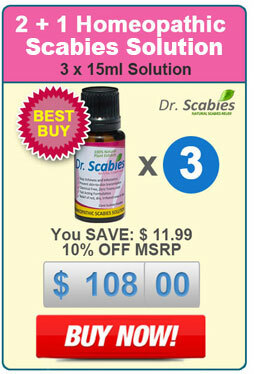 Quick and Safe Relief, Formulated for use in the comfort of your own home. Unfortunately, the original form of Permethrin is Pyrethrum - a common ingredient found in insecticides. Studies have also shown that Pyrethrum is possibly a carcinogen - a chemical that causes cancer. Plus, Permethrin also causes side effects such as itching, stinging and burning. These are the products our customers can't live without. Tried and true, high performing, and a constant staple in many households across the globe, this category is the best of the best as voted by the people who use it! 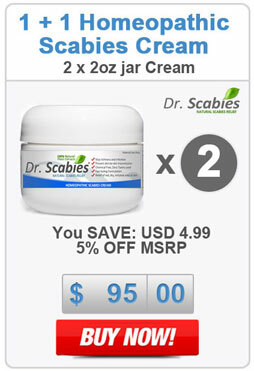 Dr. Scabies® Cream - is recommended for extensive cases disinfecting and healing the wounds, bumps and rashes. 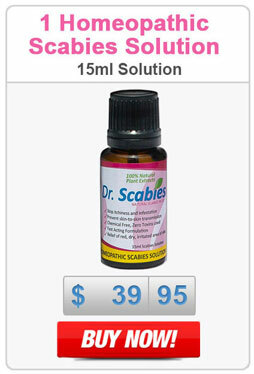 It is very effective in treating secondary bacterial infection which is a common complication of scabies infestation. It is also an insect repellent – it drives away the mites, prevent further feeding and reproduction. 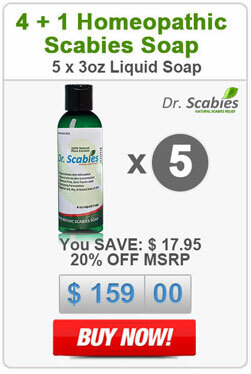 Dr. Scabies® Soap - is a homeopathic soap with a formulation of sulfur and natural plant extracts with antiseptic and itch relieving properties. 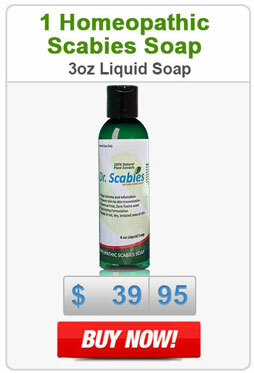 It also has Sunflower Oil that moisturizes your skin and soothes the areas that are affected by scabies mites. Dr. Scabies® Solution - is a concentrated solution with sulfur and natural plant extracts that relieves the symptoms without using harsh chemicals. Diluting Dr. Scabies® Solution in bath water and soaking the affected area in it will create an insect-contact action that eliminates the mites. 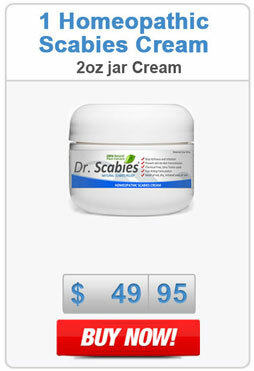 It also reduces the swelling, itching and inflammation associated with scabies. 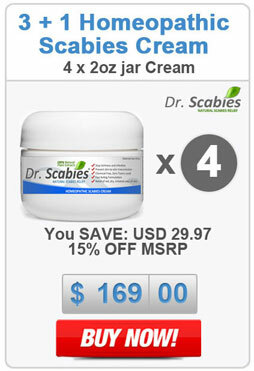 By using these Dr. Scabies® Products in combination, you will be able to treat you and your family safely and effectively. 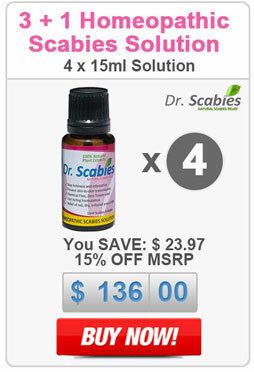 We also have a 24-hour phone support available of you want to talk to our scabies experts about your concerns. Rest assured, our formulas for home scabies treatment have been perfected for quick and simple use with the highest quality natural ingredients possible. 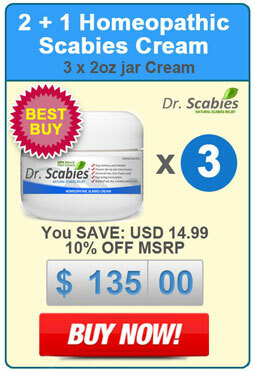 Your scabies treatment should start now! 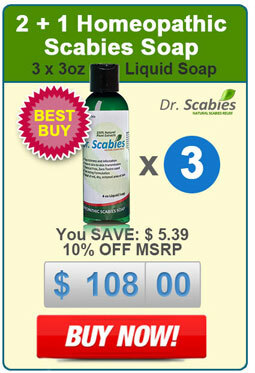 Dr. Scabies® Bath Liquid Concentration Packages - Unique, effective, Natural & Pesticide-Free. Highly Praised!